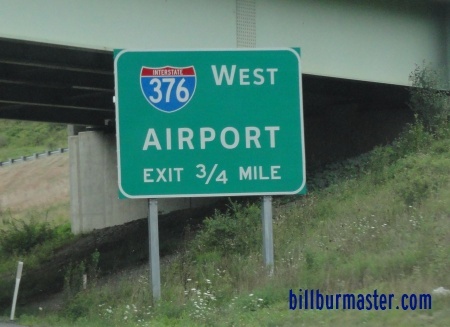 Interstate 376 runs east-west from Downtown Pittsburgh to Interstate 76/Pennsylvania Turnpike near Monroeville. It runs along the Penn Parkway. 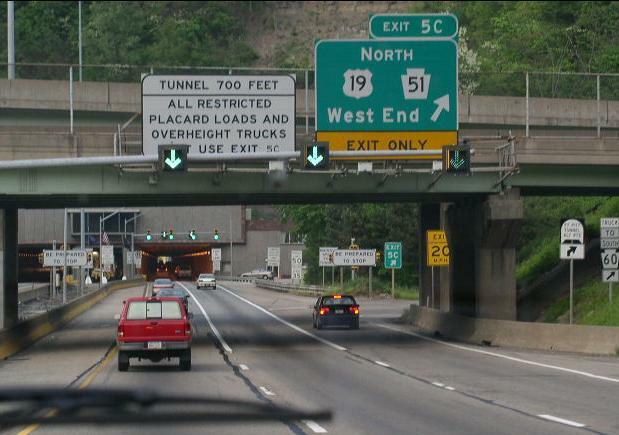 There is one tunnel, Lincoln Squirrel Hill Tunnel, along the highway. 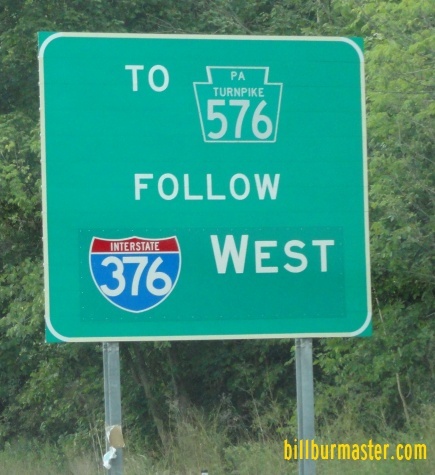 While in Pennsylvania, I-376 is multi-plexed. ...U.S. Rt. 22, from Pittsburgh to near Monroeville. ...U.S. Rt. 30, from Pittsburgh to near Forest Hills. 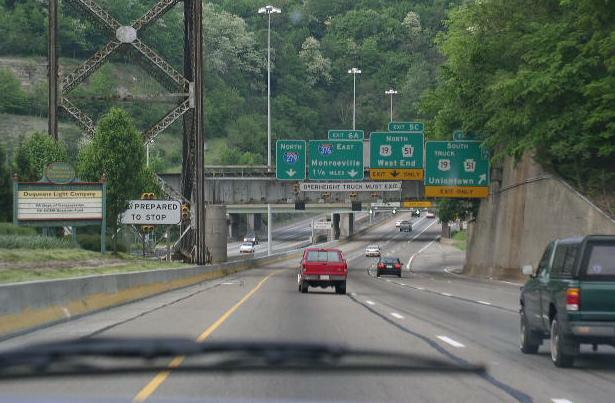 In Pennsylvania, Interstate 376 crosses the following interstates. 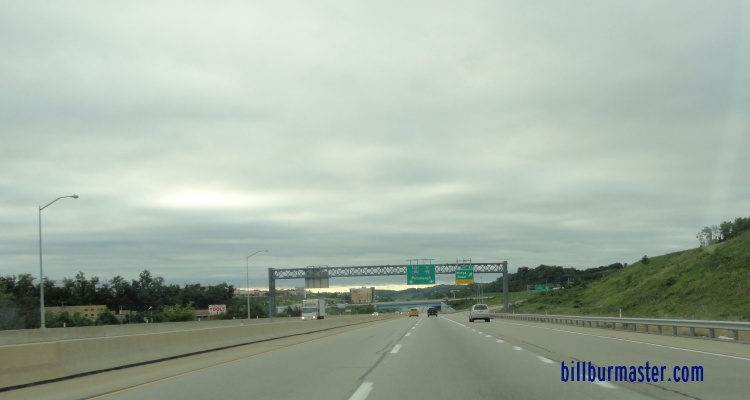 Interstate 76 (Pennsylvania Turnpike), near Big Beaver. 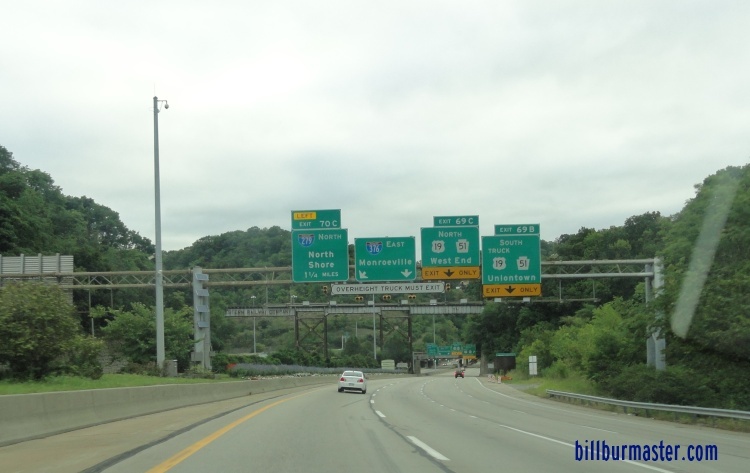 EB I-376; EB U.S. Rt. 22/30 two miles from I-79. 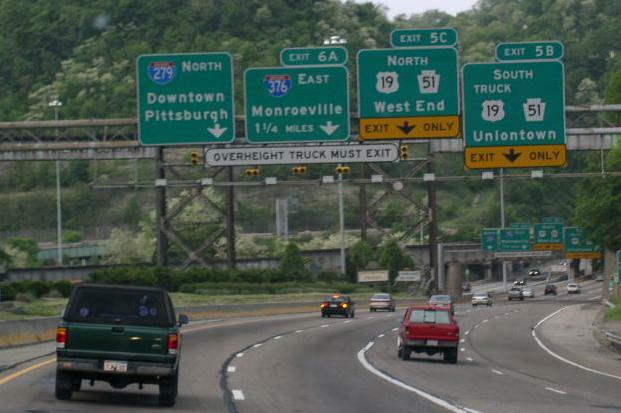 EB I-376; EB U.S. Rt. 22/30 one mile from I-79. 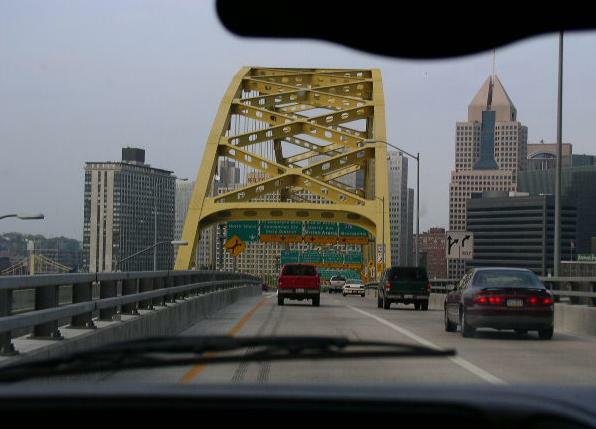 EB I-376; EB U.S. Rt. 22/30 near I-79. 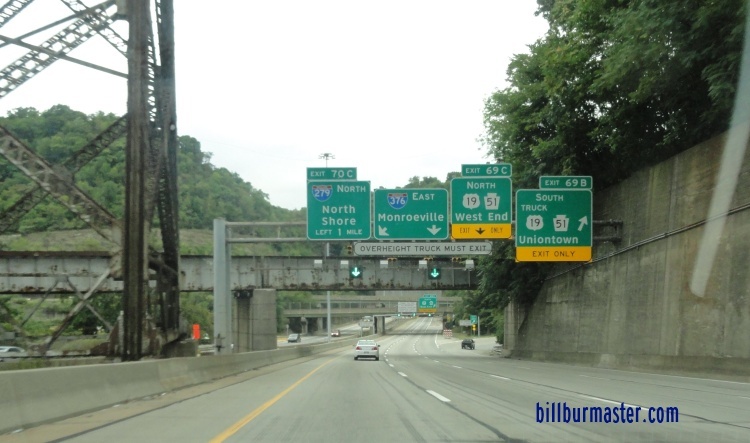 EB I-376; EB U.S. Rt. 22/30 before I-79. 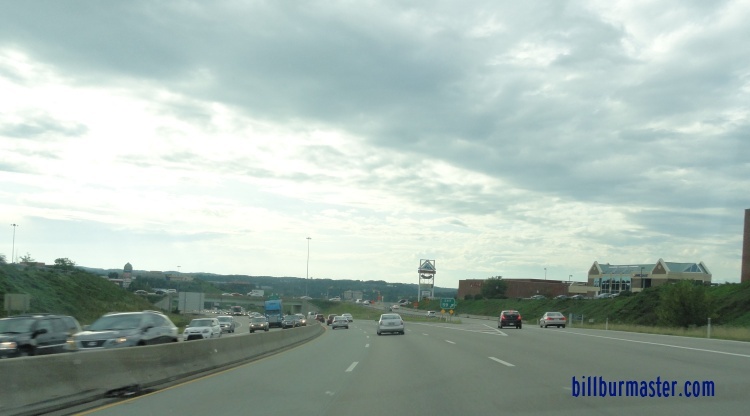 EB I-376; EB U.S. Rt. 22/30 at I-79. EB I-376; NB U.S. Rt. 19; EB U.S. Rt. 22/30 over one mile from I-279. EB I-376; NB U.S. Rt. 19; EB U.S. Rt. 22/30 one mile from I-279. 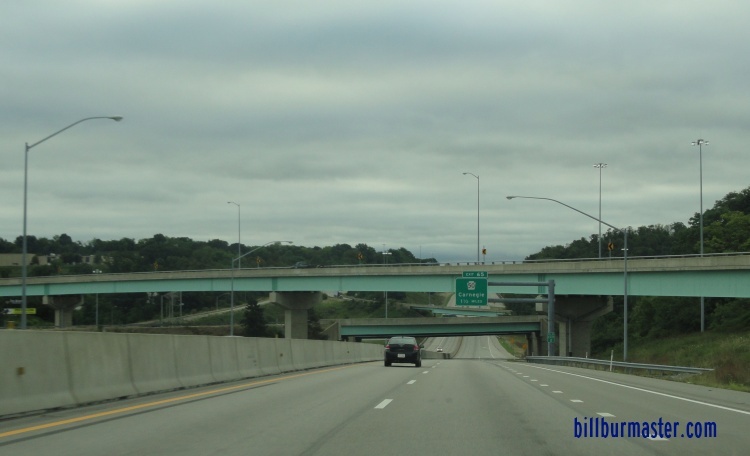 EB I-376; EB U.S. Rt. 22/30 before I-279. 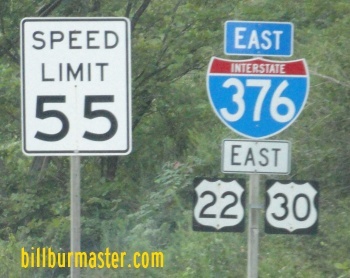 EB I-376; EB U.S. Rt. 22/30 near I-279. 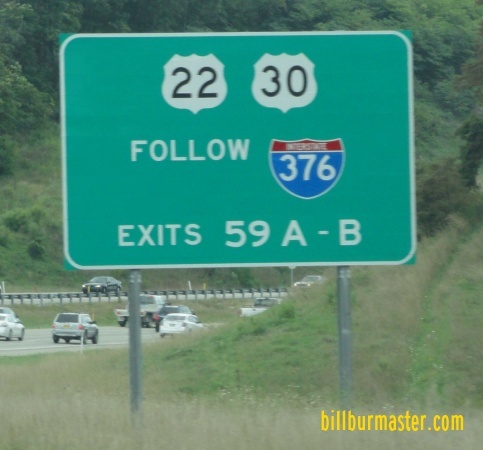 EB I-376; EB U.S. Rt. 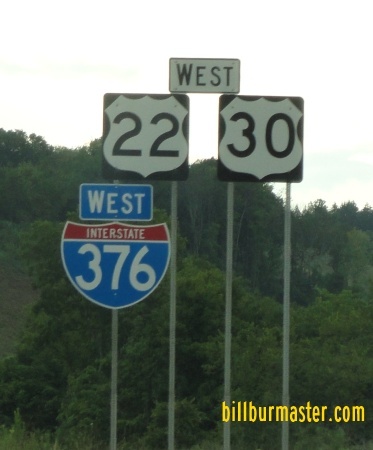 22/30 at I-279. 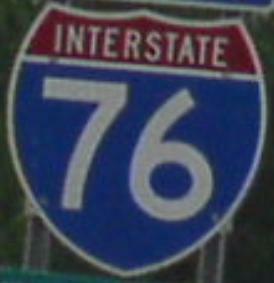 Interstate 76 (Pennsylvania Turnpike), near Monroeville. 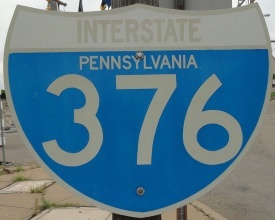 Branches of I-376 in Pennsylvania. 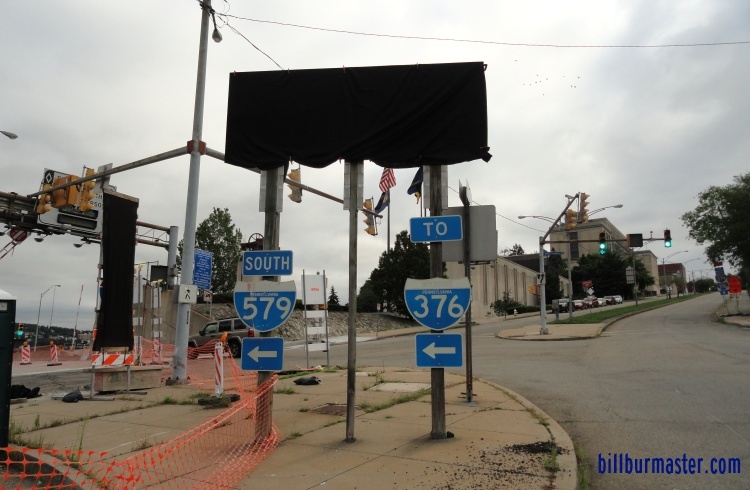 Info on the Parent Route of I-376. 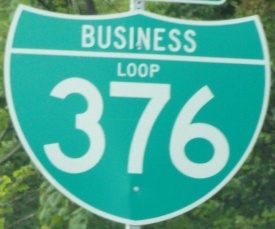 A BGS on EB BUSN Loop I-376. 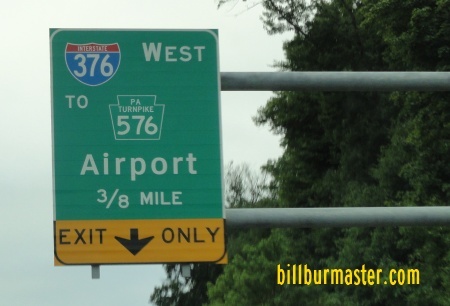 A BGS on WB I-376. 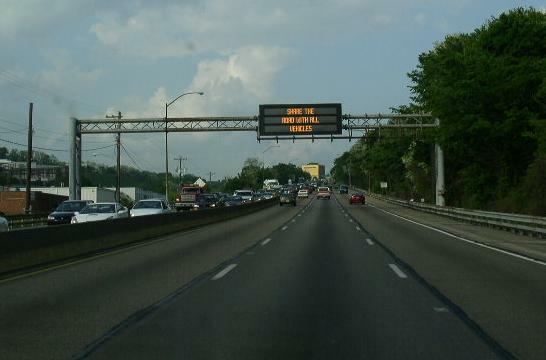 A BGS on EB I-376. 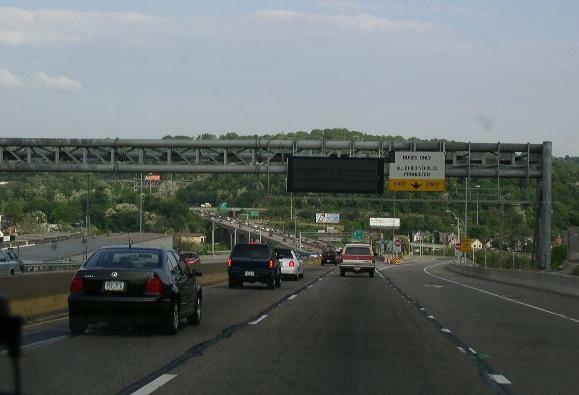 EB I-376; EB U.S. Rt. 22/30 near Ridge. 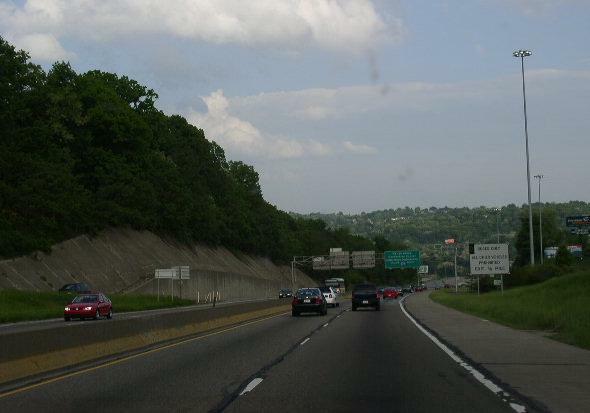 A BGS on NB I-79. 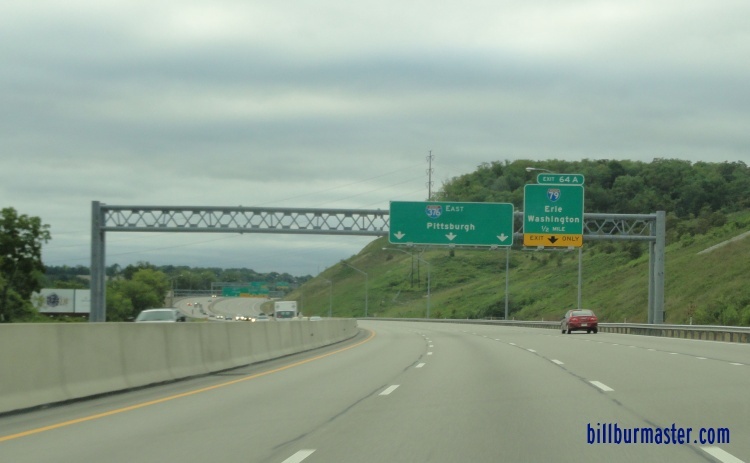 EB I-376; EB U.S. Rt. 22/30 near Carnegie. 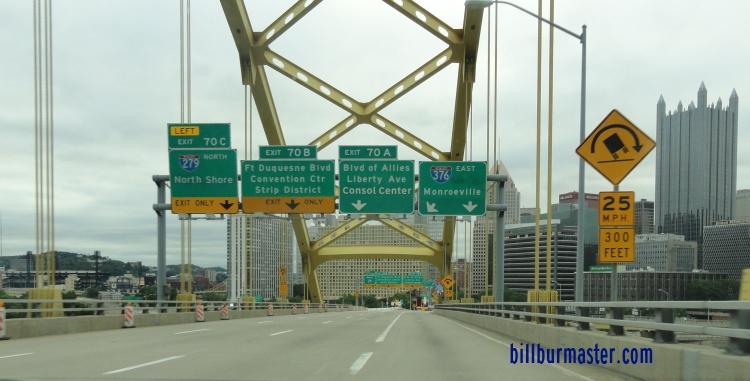 EB I-376; EB U.S. Rt. 22/30 near Mansfield Ave.
EB I-376; EB U.S. Rt. 22/30 near Green Tree. 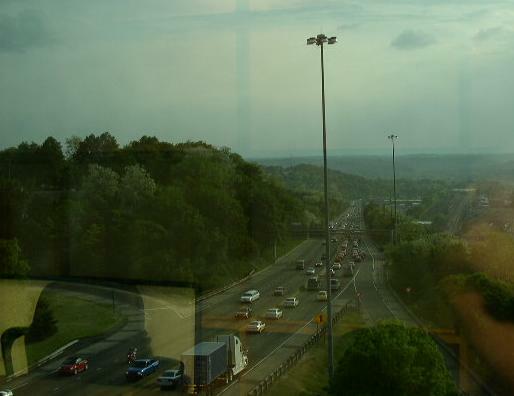 Looking west down I-376; U.S. Rt. 22/30 from the gold tower in the picture above in Green Tree. 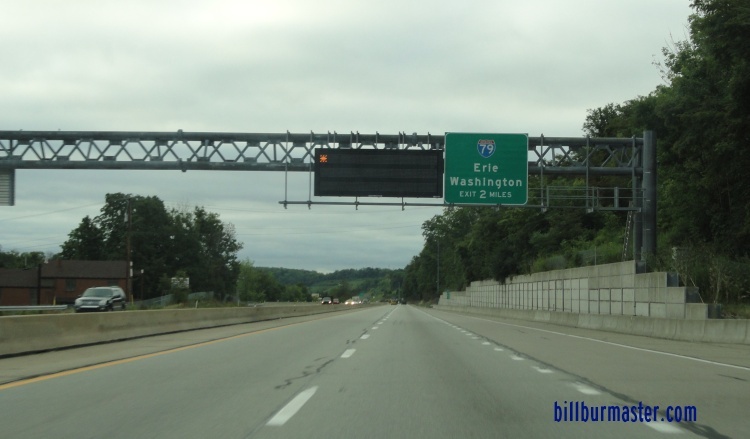 I-376; U.S. Rt. 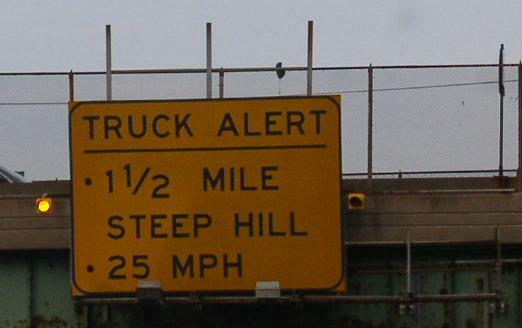 22/30 passes through steep grades near Downtown Pittsburgh. 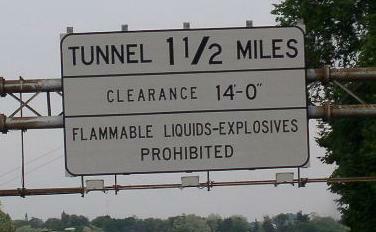 The first warning sign for the Fort Pitt Tunnel on EB I-376; EB U.S. Rt. 22/30. 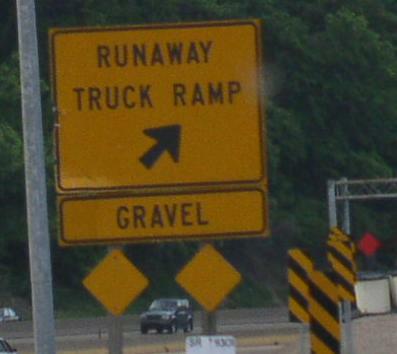 A sign for a truck run-away ramp on EB I-376; EB U.S. Rt. 22/30. 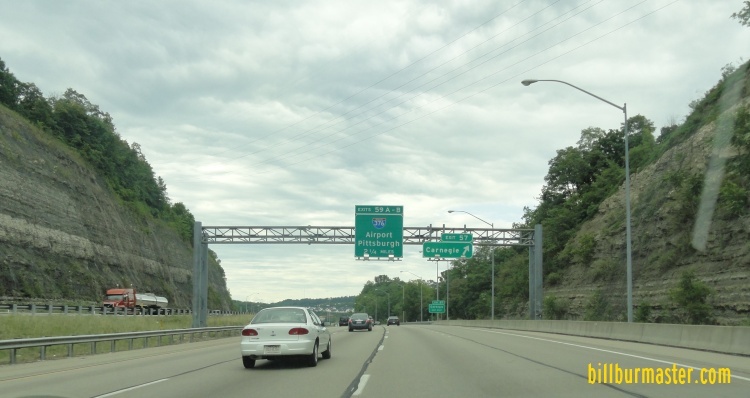 A BGS on NB I-279. This is now I-376. A BGS on NB U.S. Rt. 19. 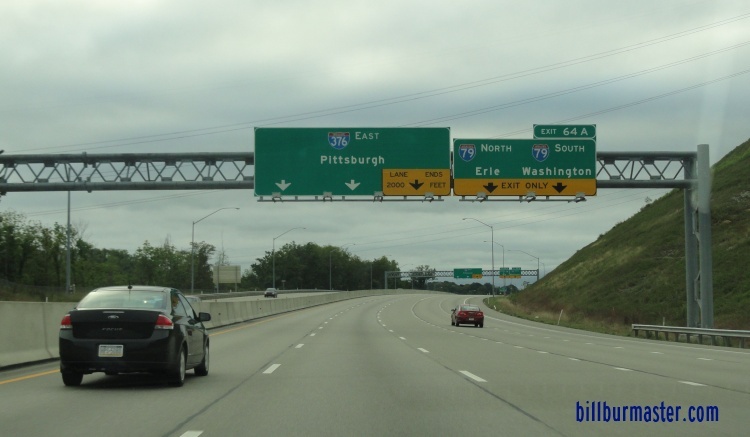 EB I-376/U.S. Rt. 19; EB U.S. Rt. 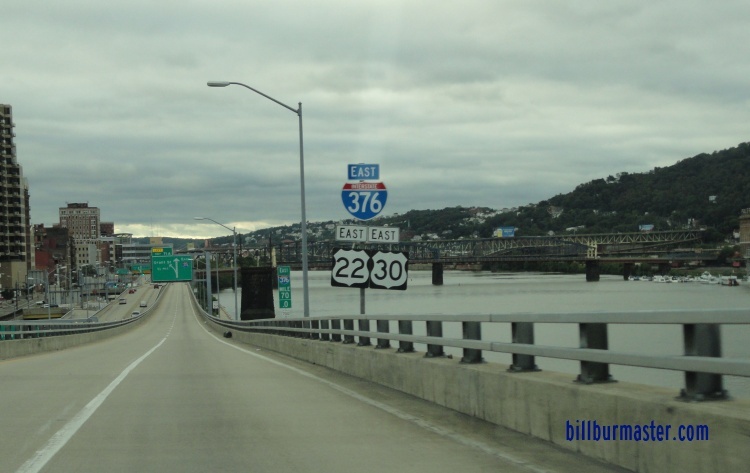 22/30 near the Fort Pitt Tunnel. 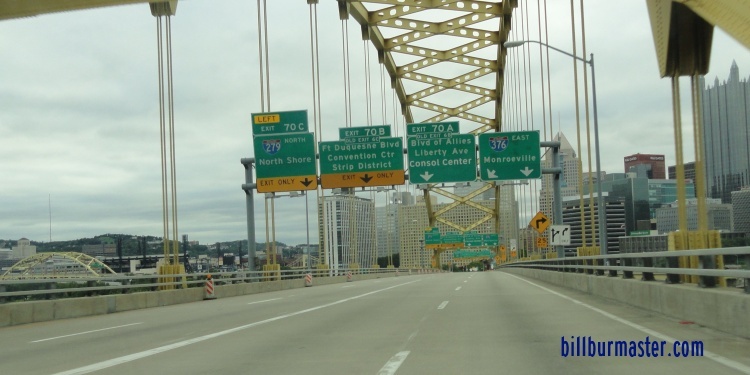 Lane markers near the Fort Pitt Tunnel. 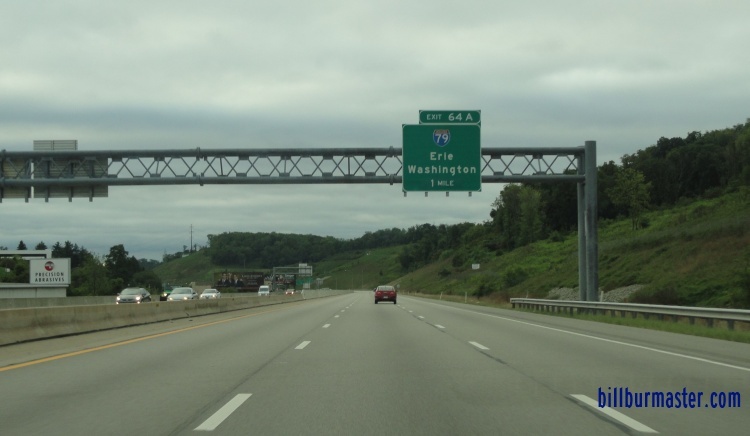 EB I-376/TK U.S. Rt. 19; EB U.S. Rt. 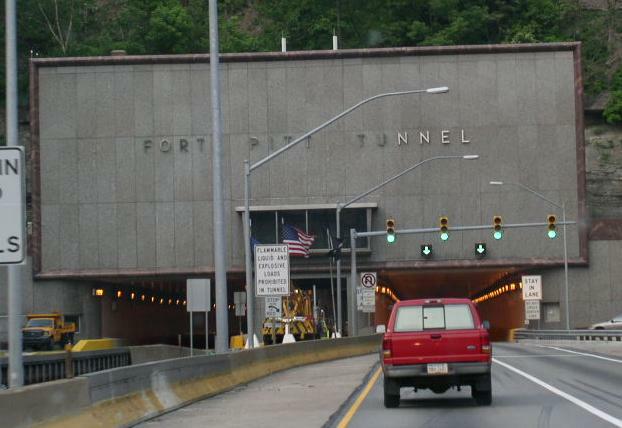 22/30 at the Fort Pitt Tunnel. 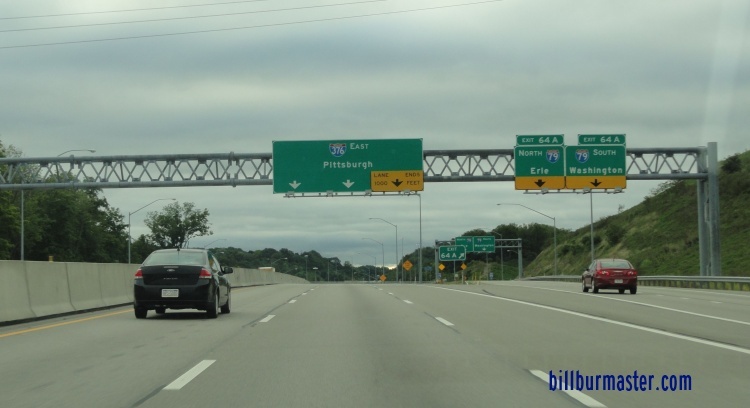 EB I-376/TK U.S. Rt. 19; EB U.S. Rt. 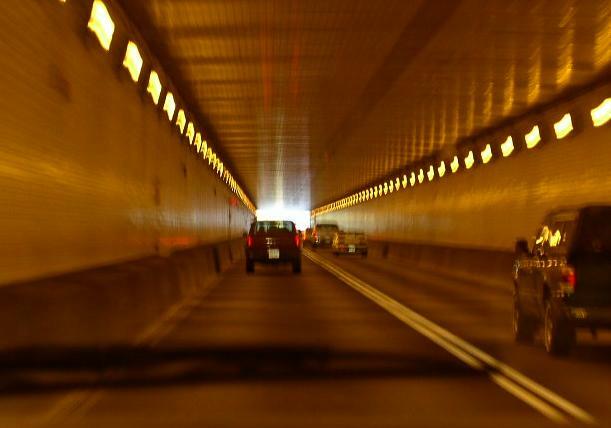 22/30 in the Fort Pitt Tunnel. 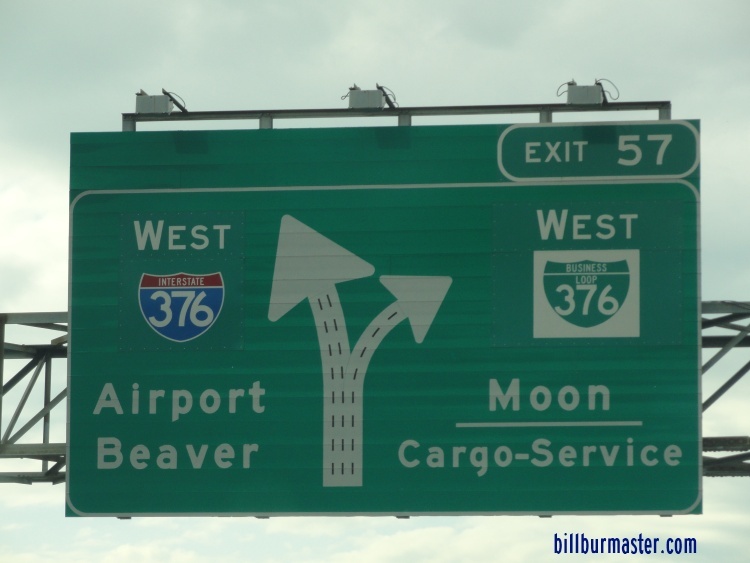 EB I-376/TK U.S. Rt. 19; EB U.S. Rt. 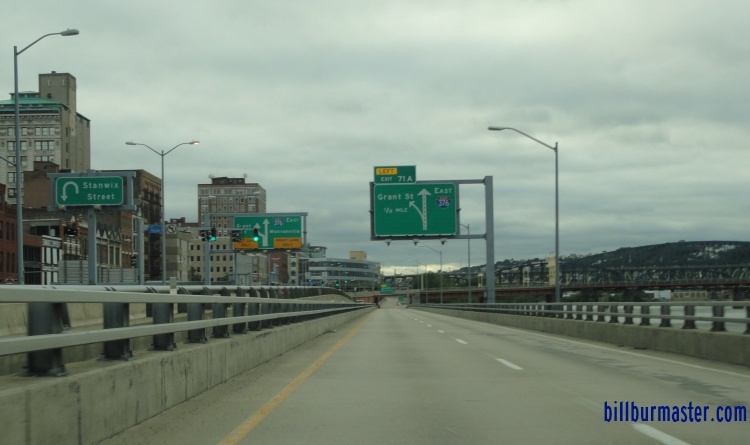 22/30 crossing the Monongahela River. EB I-376; EB U.S. Rt. 22/30 east of I-279. 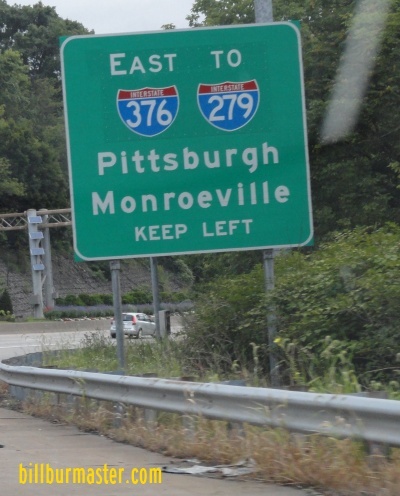 EB I-376; EB U.S. Rt. 22/30 near Grant Street. 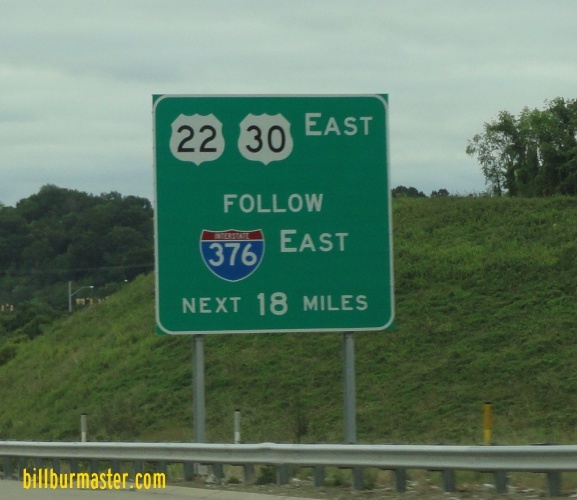 A guide marker in Pittsburgh.